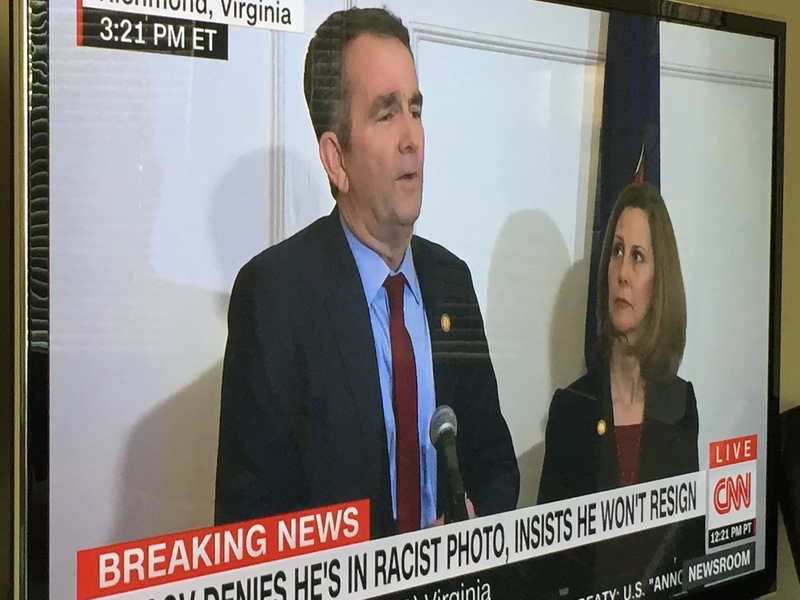 It doesn’t take a PR analyst to tell you that in his nationally-televised and much-tweeted about press conference, Virginia Governor Ralph Northam, a man most of the country had never heard of before made a bad situation if not worse, then certainly more weird. You wouldn’t be wrong if you picked a cliche to describe it. “Dug his hole even deeper,” “train wreck” and even the Internet-favorite, “dumpster fire” all come to mind. How in the world could he have just seen his medical school yearbook, for the first time, the other day? He ran for state legislature, lieutenant governor and governor and this was never brought to his attention? Come on. Even as a recent graduate, nobody called to say “Hey Ralph, what’s up with the photo on your page?” Really? He never saw it? Regardless of whether or not he resigns, East Virginia Medical School is a part of this mess. I can tell you from working with higher education institutions for more than 20 years, somebody, probably multiple people, at the School have known about this for years. Institutions routinely look up high-profile alumni in yearbooks. That’s part of the reason why they have them around. Just recently, at a university client, I was strategizing with the communications team about a gift from an alumnus donor. Within minutes, we grabbed the yearbook, decades old, to find his picture. Years ago, when I told the leader of an institution that I had a family member who graduated from there, we went to a hallway to find him on a composite. It’s part of the culture of higher ed. The President of the School issued two statements over the weekend. But there’s a big question that’s lingering and will prove to be a challenge for that institution. Someone has known about this for years. Were they protecting this famous alum? Or protecting the past of the School? Either way, it’s going to bite. It’s time for the school to enter Crisis Mode.